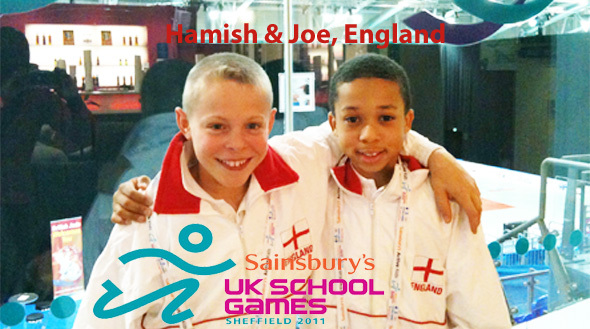 Saturday 3rd September at the Ice Sheffield Centre saw day 1 of the Sainsbury’s UK School Games Mens Artistic Championships in which City of Birmingham Gymnastics Club had two gymnasts competing for England, Joe Fraser and Hamish Carter. 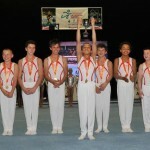 In an event that fielded the best of British national and International schoolboy talent Joe’s high start values, confidence and well rehearsed routines shone through for him to take the all-around title with a score of 78.80pts, 2.65pts ahead of his nearest rival. 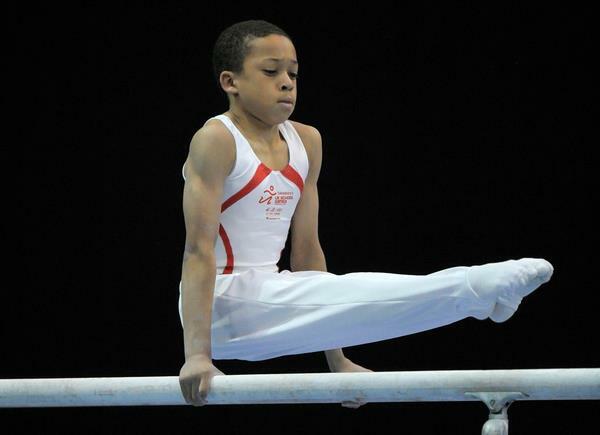 Congratulations also go to Hamish who, as well taking the team gold, managed to finish in bronze medal position in the all-around event. 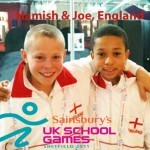 Congratulations and well done to both boys for ‘a good day at the office’Double gold success came for Joe when the England team took Gold medal position with a team score of 307.450pts, 20.95pts ahead of the nearest team. 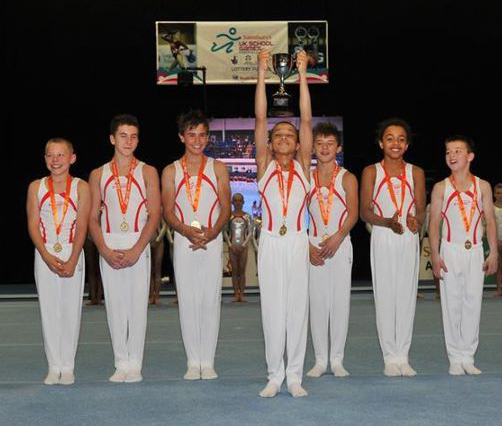 Sunday 4th September, day 2 of the Games, brought further successes in the individual apparatus finals with two more gold medals for Joe on rings and parallel bars and a bronze on pommel horse. 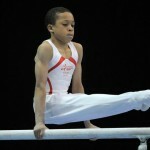 Hamish qualified for the high bar final and was successful with silver on high bar.